Hi everyone! I am back today sharing another couple cards using the new Wild & Wonderful release. 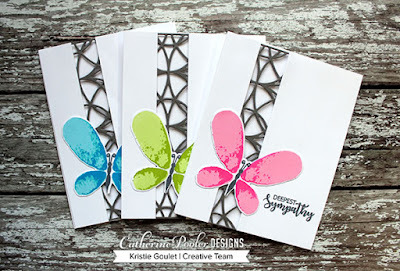 I cannot wait to see everyone's creations popping up all over blog land and StampNation using these new goodies. What is your favorite stamp/die released? 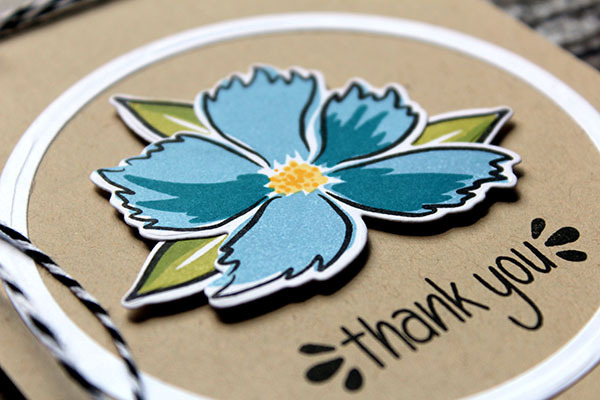 My card features the Wild & Wonderful & Note of Thanks stamp set. 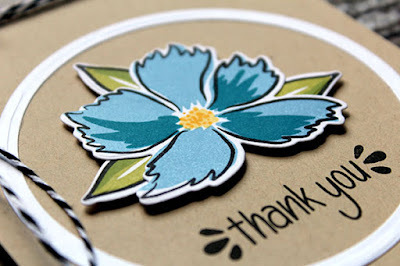 I stamped and die cut a bunch of these flowers in different colors to have on hand to use for cards later on. This flower was stamped using Pixie Dust and Grape Crush. 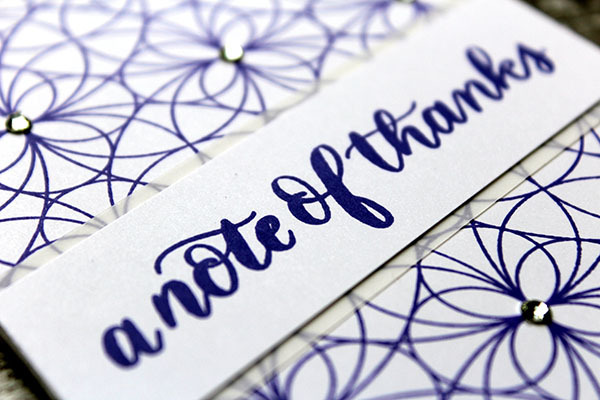 The center was stamped using Limoncello. 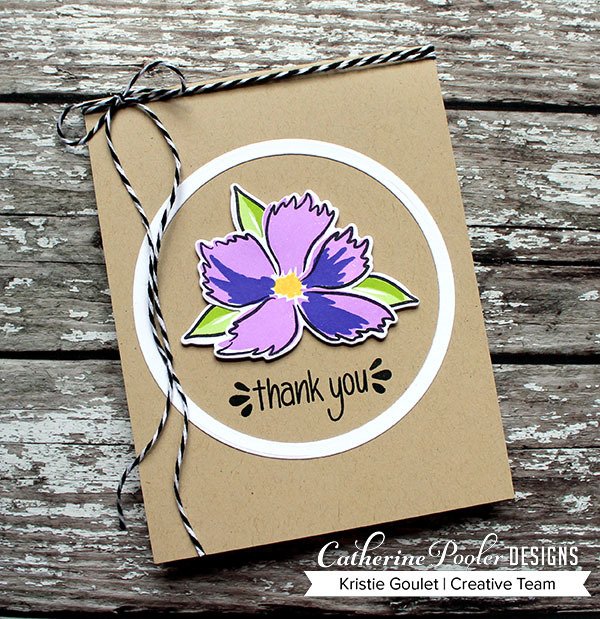 I wanted to try some flowers using the Spa ink colors too. I used Stone Blue & Daydream. 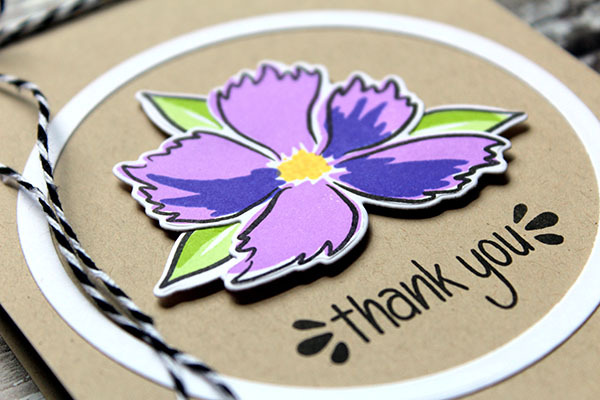 To add a bit of interest to my cards, I used some circle dies to create the ring around the flowers and sentiment. Before you go I have some sales I wanted to let you know about. Catherine is offering 25% off the Hello World Stamps now through May 31st. 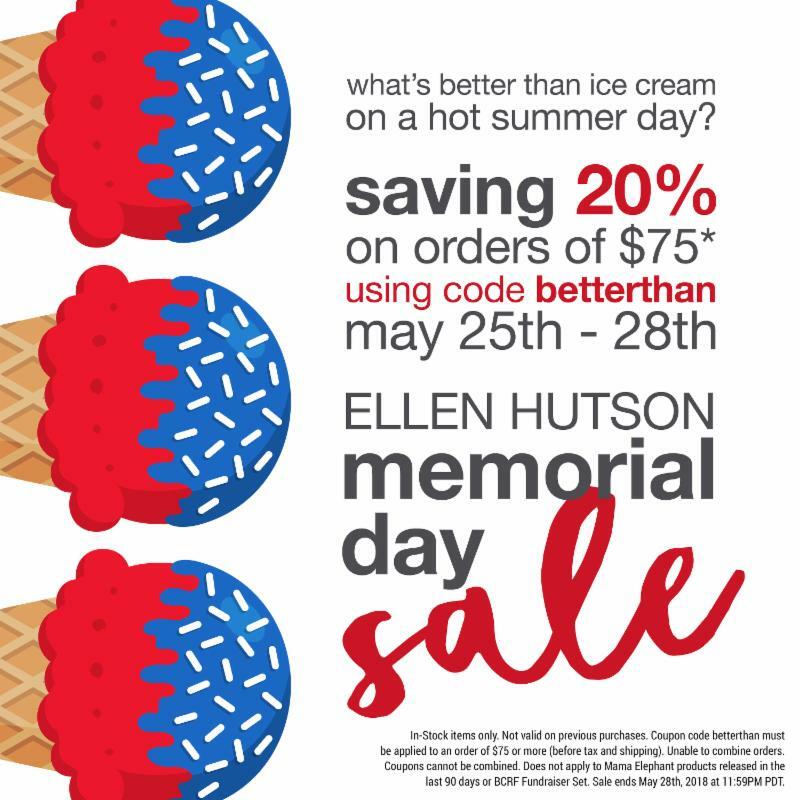 Ellen Hutson is offering 20% off orders of $75 using code betterthan! Click HERE to start shopping at Ellen Hutson or click on any of the links below! 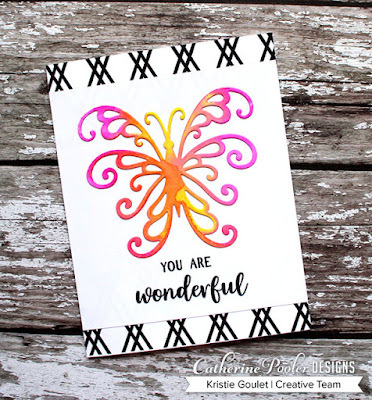 Hi everyone and welcome to Day 1 of the Wild & Wonderful release blog hops for Catherine Pooler Designs. There will be 3 days of blog hops where the Creative Team will be sharing inspiration using the new products. There are not only stamps/dies that are new, but two NEW INK COLORS too! 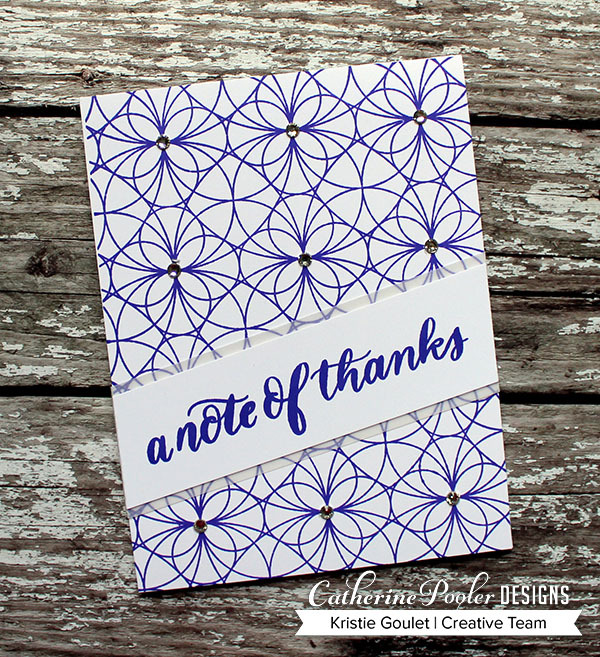 My first card features the Kaleidoscope background stamp and the Note of Thanks stamp set. I stamped the background in Midnight ink, let it dry for a bit before blending the colors. I blended Party Dress, Limoncello and Fiesta Blue. 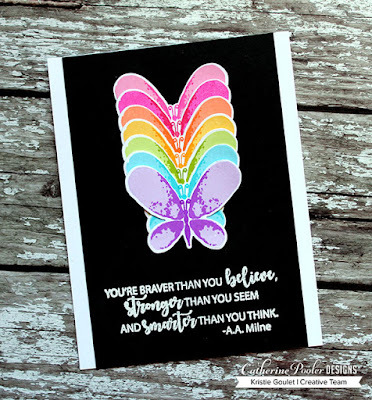 I love that only using three colors gives me 5 colors on my card. I trimmed a piece of card stock at an angle and attached it to the background stamped and blended panel to create the angle. 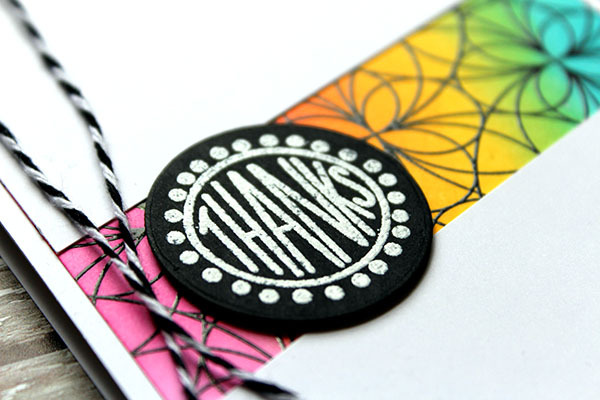 The thanks stamp was white heat embossed onto a piece of black card stock and then cut out using a circle die. I popped that up onto the panel and added some black and white twine. My next card shows off the new Grape Crush ink pad color. All of my stamping was done using the new ink color. Wouldn't this make a great gift set for somebody? Doing a bunch of these in different colors and packaging them all together? I added rhinestones and backed the sentiment strip with some vellum card stock for a bit of interest. Make sure you leave comments on all the blogs in the hop today. 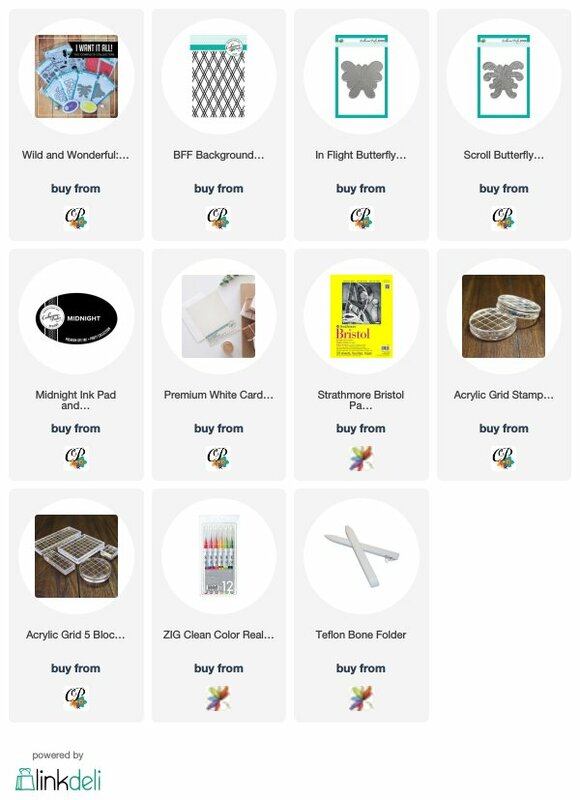 Catherine is randomly choosing a winner from FIVE different blogs to win TWO free ink pads from the shop along with FREE shipping on your order! Winners will be announced on Friday, May 25th. 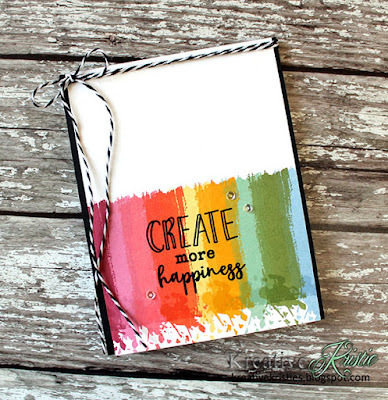 Time to hop along to the next stop on the hop which is the amazing Jen Carter! The complete blog hop list is below. Hi everyone! 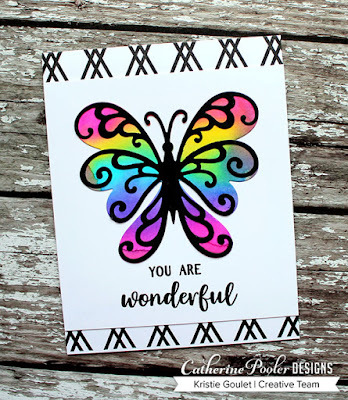 I have some simple cards to share with you all today using the Faithful Flutterings stamp set and the coordinating dies that Catherine released yesterday. 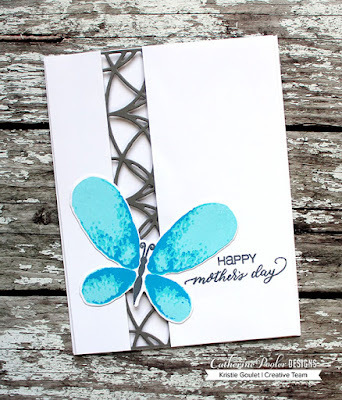 First up is a Mother's Day card. 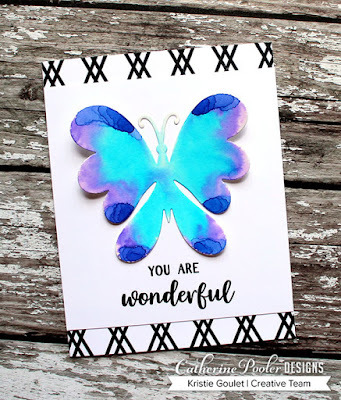 I used my mom's favorite colors on the butterfly. She loves blue. I used part of the Stained Glass cover plate to create some interest on the panel. While I had my supplies out I created some sympathy cards. I like to have these on hand at all times. The butterfly stamp set has 3 layers, but I only used two layers on this card. I love having options. I am adding these over at Addicted to Stamps and more challenge. Hi everyone! 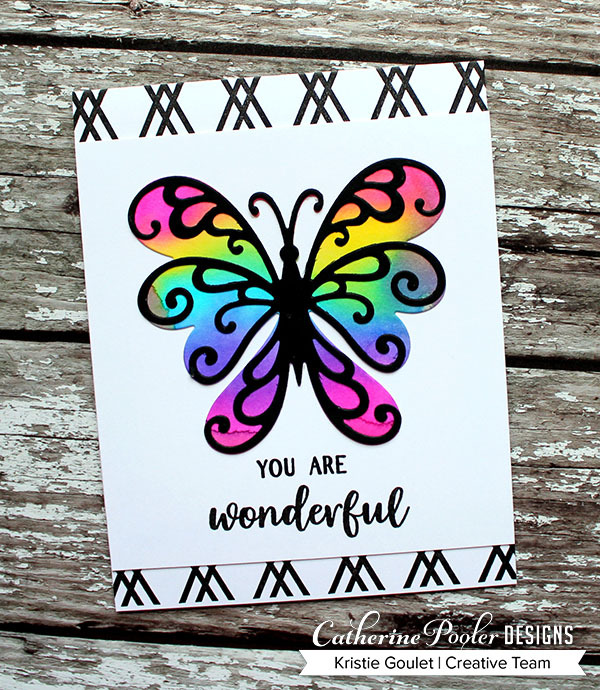 Catherine is releasing some new items in her shop today - dies for the Faithful Flutterings stamp set (WOOT! ), Purple Tape and Amodex. 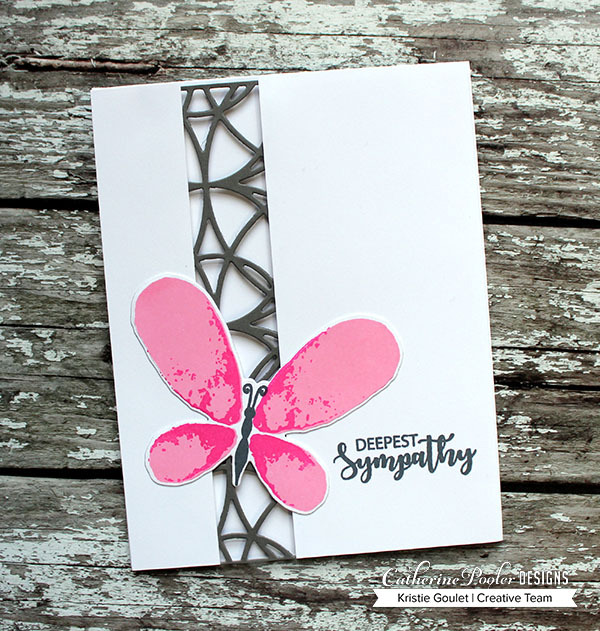 I have a card to share with you using the Faithful Flutterings dies. I used the small butterfly and die to create my rainbow butterflies. I absolutely LOVE this sentiment too. Amodex is a non-toxic, soap based, formula for on-the-spot cleaning in the home, at the office and on the road! Works on everything from oil-based to dye related stains including Sharpie, and other inks on all fabrics, leather, carpets, upholstery, flooring, counters, furniture, and more. As a non-toxic soap, Amodex is safe to use on skin for quick art clean-up from paints and inks! The applications for Amodex are limitless, without affecting color fastness! The Amodex Ink and Stain Remover can remove all sorts of stains from your fabrics, surfaces, and skin. Effective on ballpoint, rollerball, whiteboard, permanent, and highlighter inks. Also works on grease and food stains. Made in USA! Hi everyone! Happy Friday! 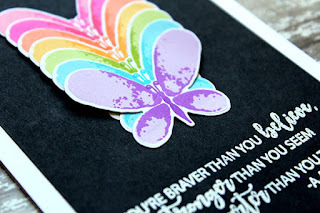 I have a quick post for you today sharing a rainbow card using some Spa collection ink colors. 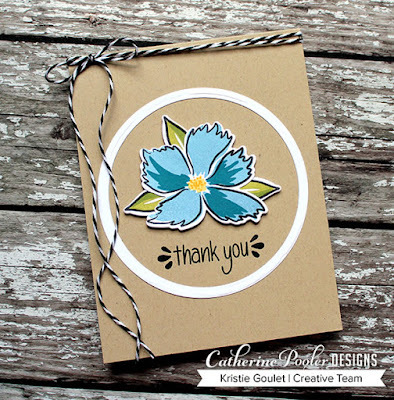 I love this brushstroke stamp in the Eat Sleep Create stamp set by Catherine Pooler. I added the fun ink splat stamp on the bottom of each brushstroke. 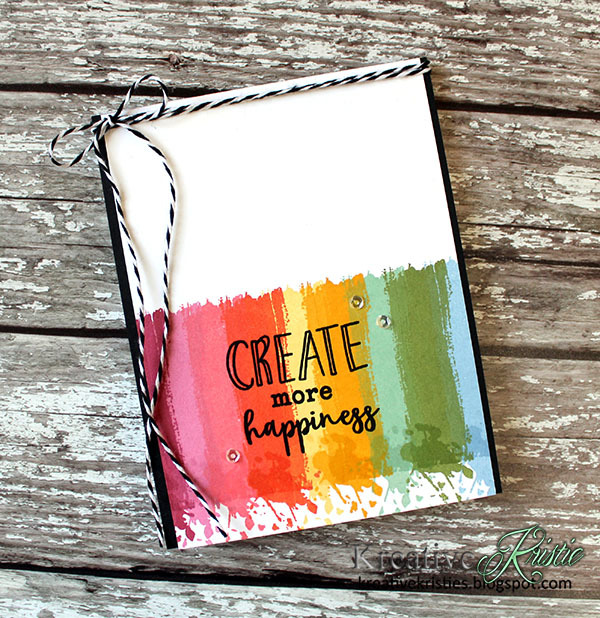 The sentiments in this set are so fun to build and create! So many possibilities! Hi everyone! 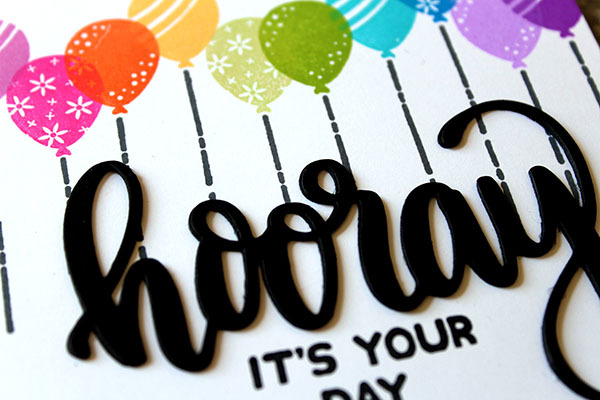 I have a fun birthday card up over on Catherine' blog using goodies from the Celebrate Friends Stamp of Approval Collection.